One Day Bioawareness Workshop was arranged by PBSA Balochistan CHapter in Institute of Public Health Quetta on 16 October 2018. Midwives and Lady Health Workers were the major participants and learnt significantly about hand washing, proper doffing of gloves, needle stick injuries, and biological risk mitigation. 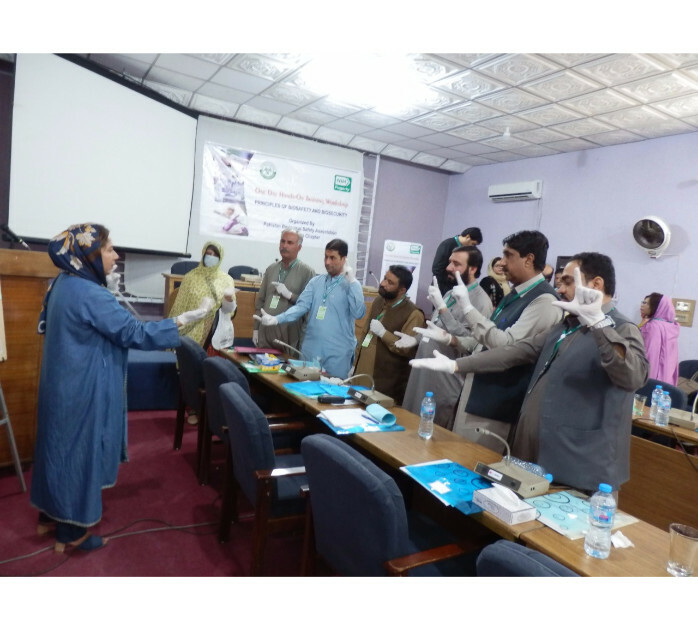 The participants learnt significantly about the importance of these lectures and practicals, and were appreciative of the efforts of PBSA towards making Pakistan biosafe and biosecure. This awareness workshop is part of the October Biosafety Month. 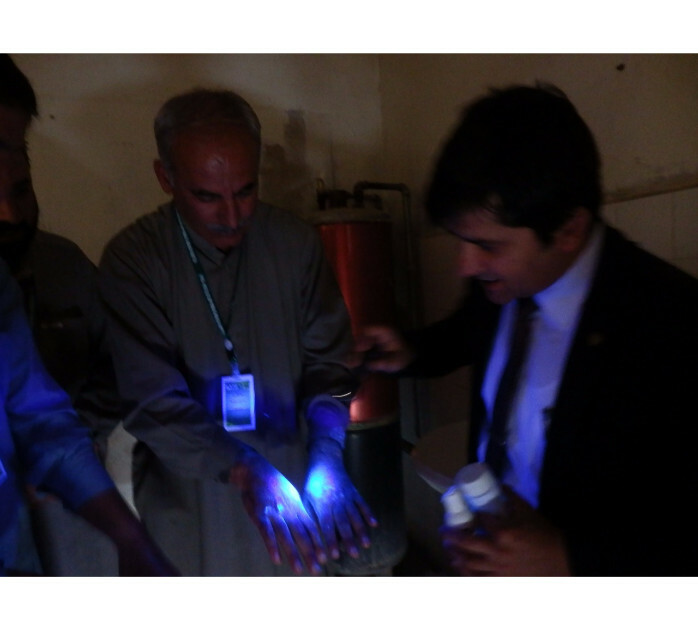 Glogerm is being used to help participants understand why proper doffing as well as proper handwashing is important.